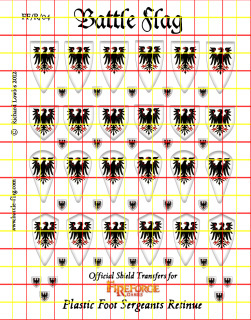 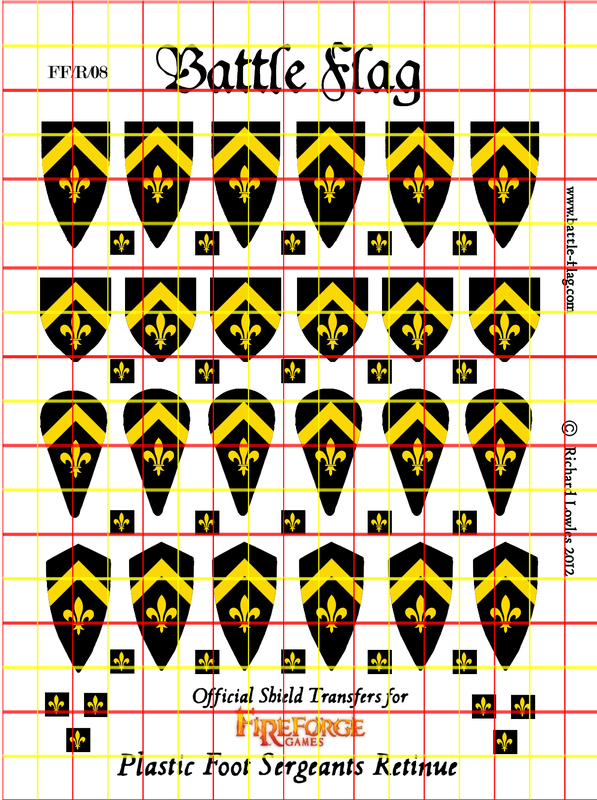 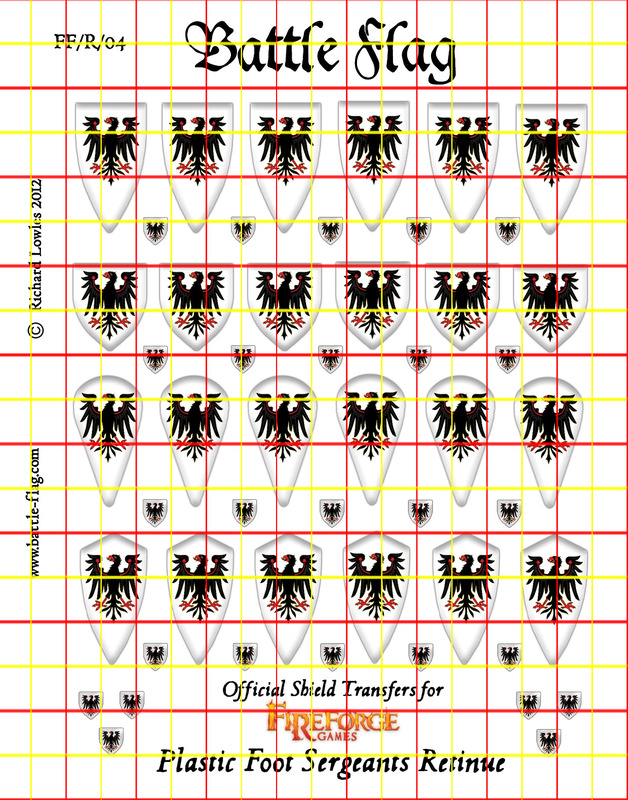 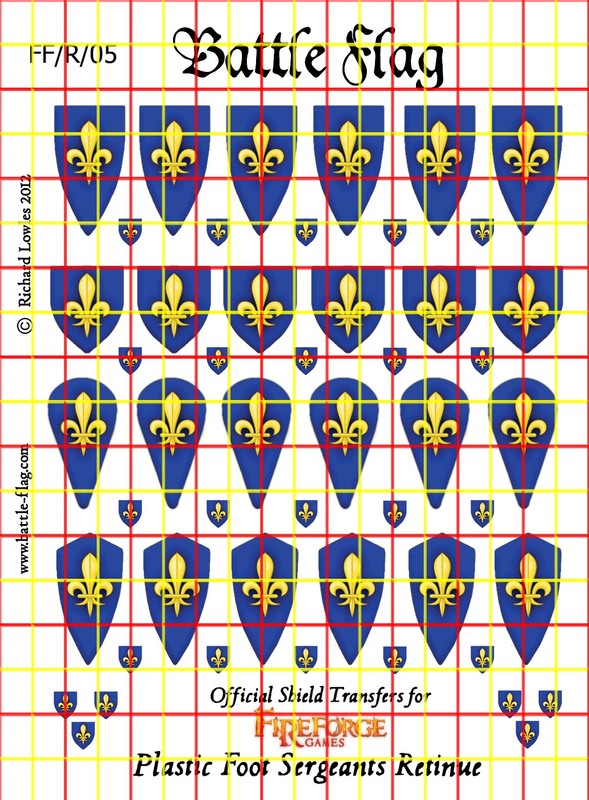 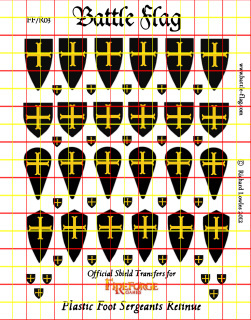 Sets of true waterslide transfers that allow you to create a Retinue of Men at Arms for Medieval Wargames and Rule Sets. 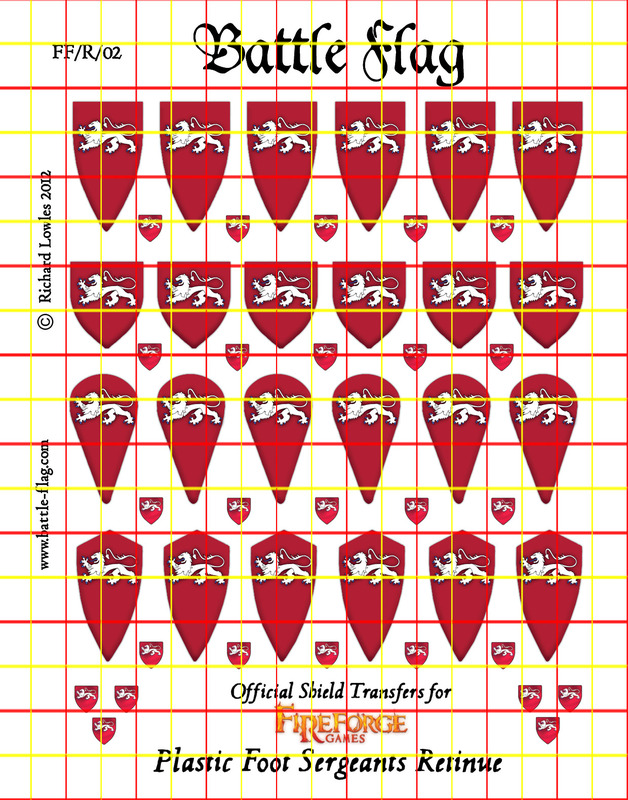 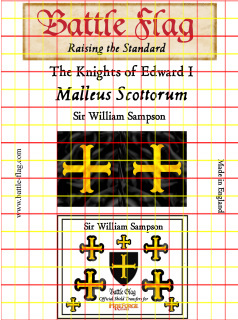 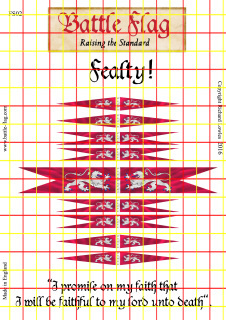 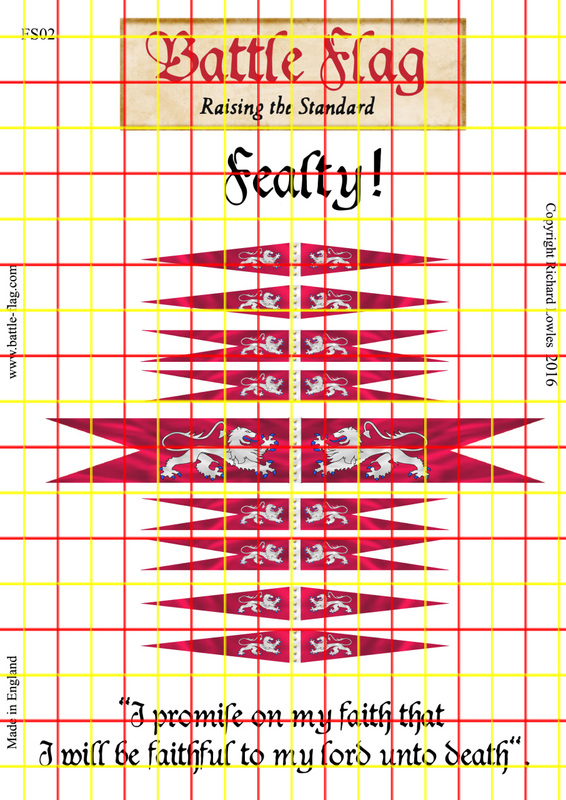 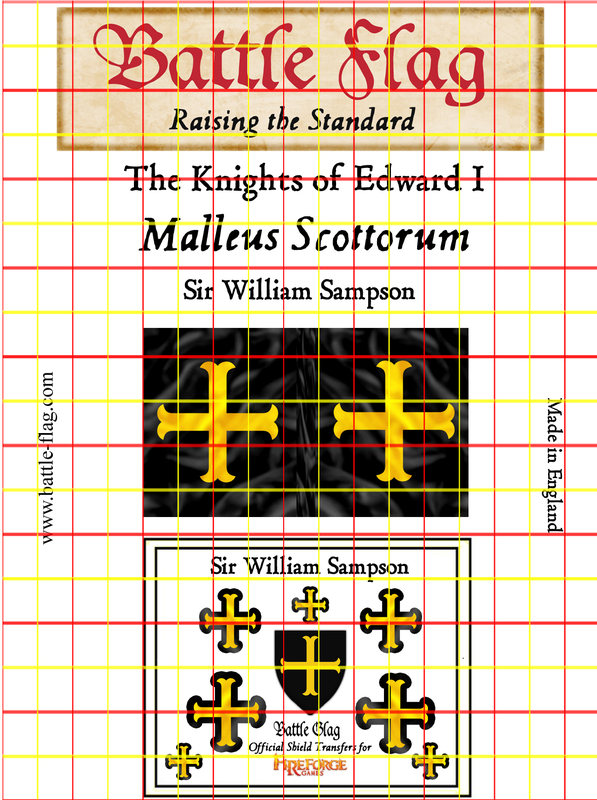 Making them ideal for the likes of Osprey's Lion Rampant Rules etc. 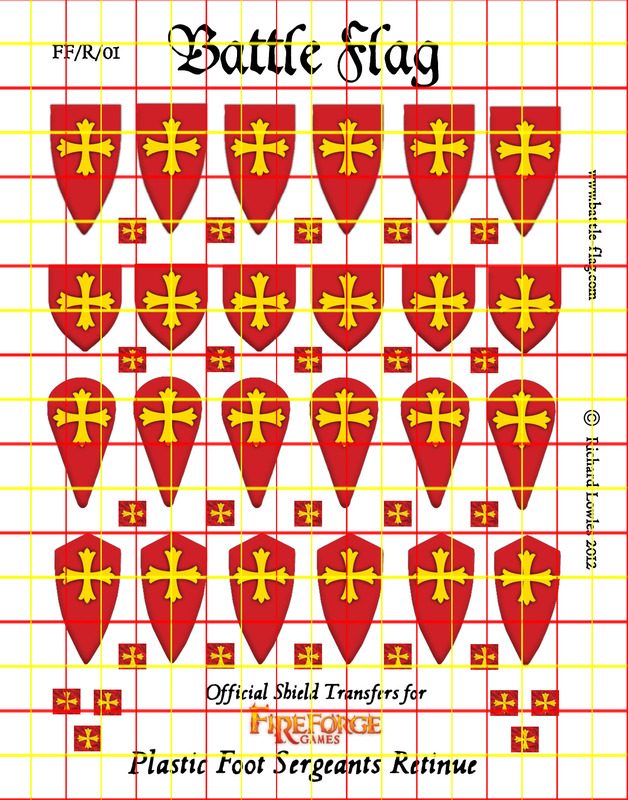 The Perfect way to create a full Retinue . 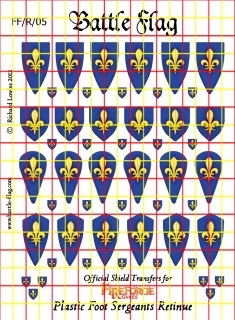 The set includes enough waterslide transfers/decals to complete a full box of Fireforge Sergeants as the Retinue of Baron William Latimer. 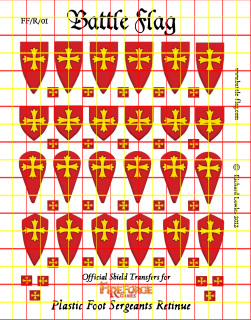 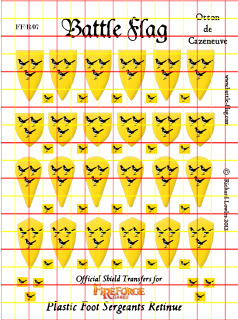 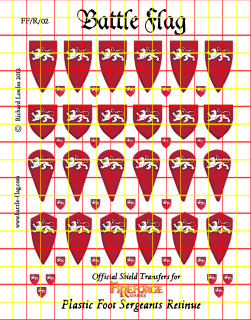 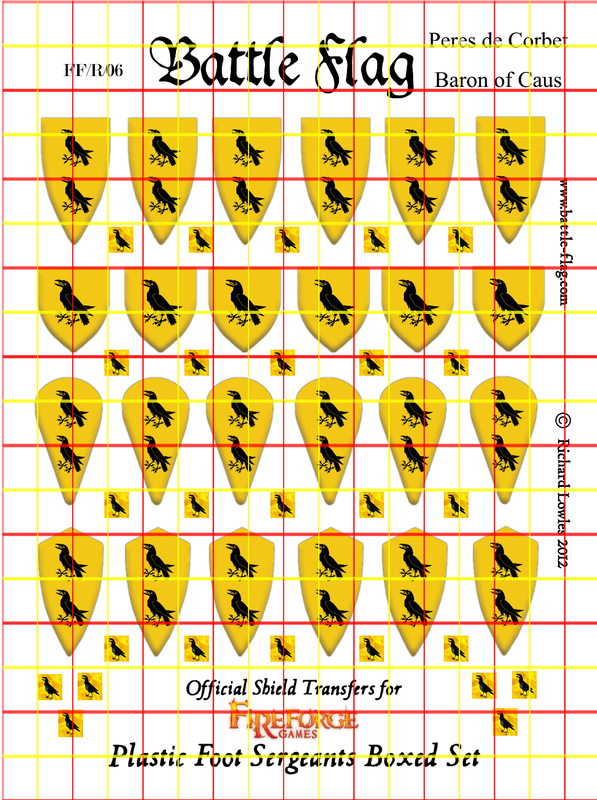 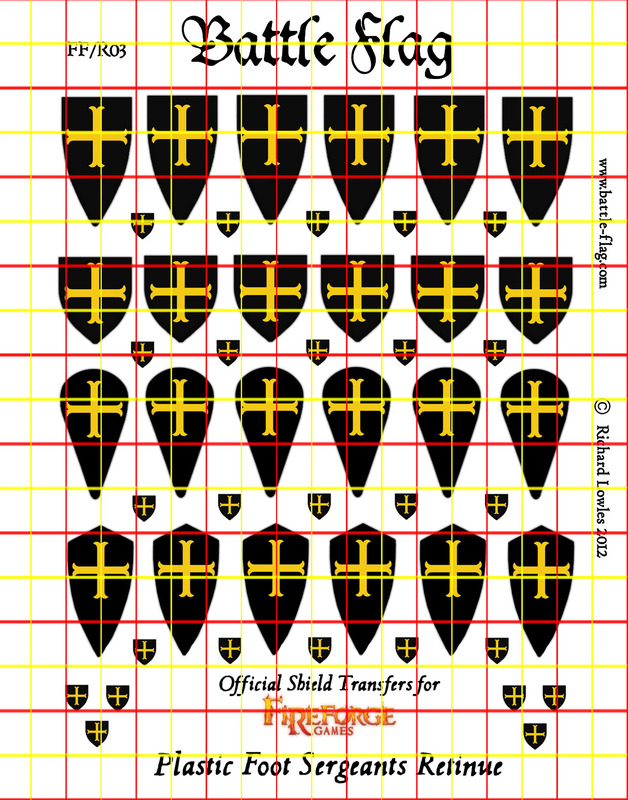 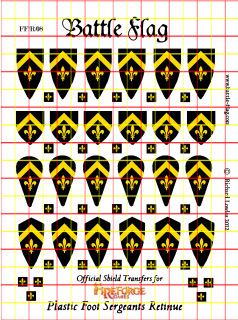 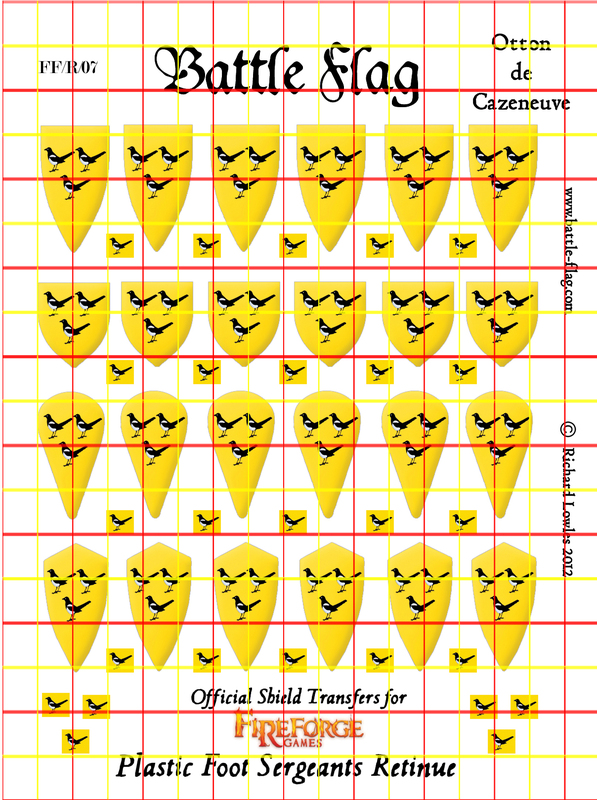 Set includes decals for shields and coat badges. 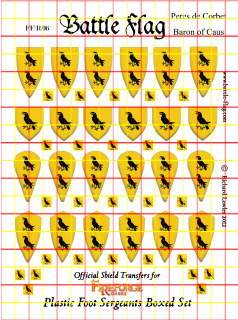 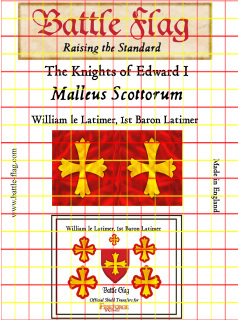 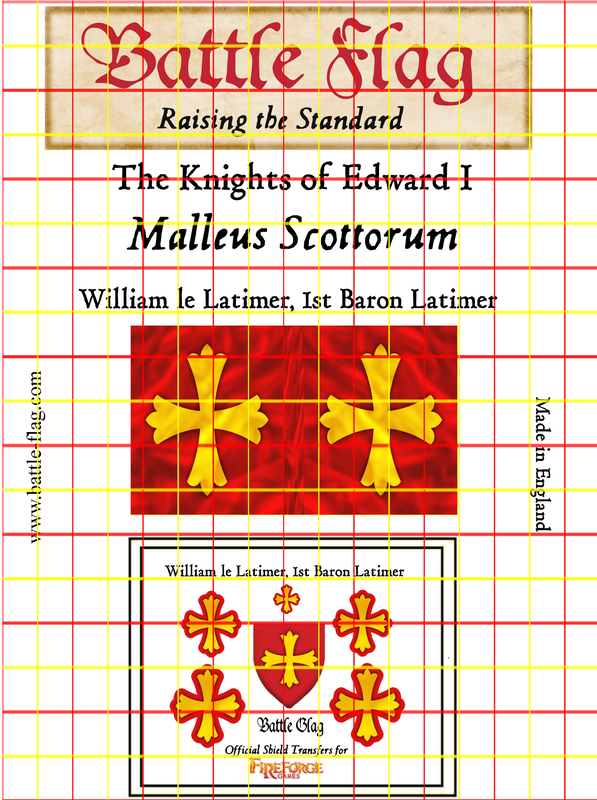 Standard and 8 pennants for Fireforge Men-at-Arms printed on museum quality paper and using archival inks.